This week, the controversial case of Venezuelan opposition presidential candidate Leopoldo Lopez took an interesting turn as he dropped from the race to throw his support to rival Henrique Capriles Radonski. The Inter-American Court of Human Rights had ruled that Lopez should be allowed to run for office and have his rights restored after a move by the Venezuelan government to suspend him due to unproven charges of corruption. After the court ruling, the Venezuelan government announced Lopez would be allowed on the ballot but if he won uncertainties remained if he would be allowed to take office. These questions may yet re-emerge if Lopez becomes Capriles' running mate. 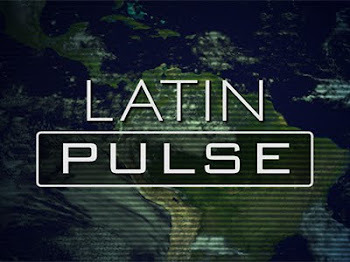 This week's Latin Pulse focuses on this complex case and other controversies between Venezuela, Ecuador and the Inter-American Commission on Human Rights. The program also features an in-depth interview about the issue of extractive commodities in the Amazon rainforest. Eve Bratman of American University.